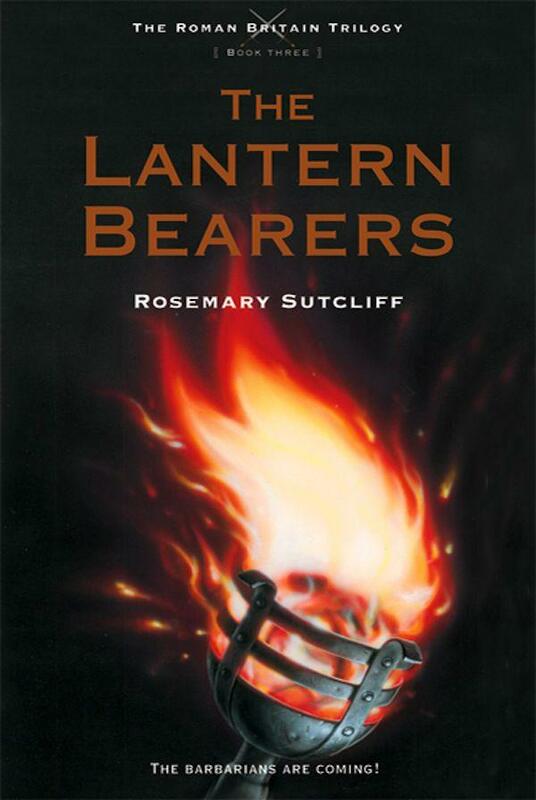 The Lantern Bearers, a 1959 historical novel by Rosemary Sutcliff, is officially a children’s book. It is also one of the best, most mature stories I have read in a long time, with a simple but powerful appeal. When it comes down to it, most stories – books, films, games – show us the world as we would like it to be. Some show us the world as their creators think it is. Some show us the worlds we fear. But every so often, one will show us* the world as it really is. And in TLB, I feel lucky to have read one of those rare gems. Set in fifth-century Britain during the Anglo-Saxon invasions that followed the Roman withdrawal from that island, TLB tells the story of one Roman who stays behind to make a stand. Instantly, that tells us something. Regardless (no spoilers!) of what will happen to the characters, we know how this war will eventually end. We know the Roman Empire, both as a whole and in Britain, will collapse. We know the Dark Ages are about to descend. And that sense of changing times is imprinted on every page of TLB. It propels the world. It propels the plot. It, notably, propels the characters – the subtitle of this book could be, “Times change, and people change with them.” The realism with which they do is one of the book’s greatest strengths. This, I felt as I read it, is how people would really behave. Part of that behaviour involves difficult, painful decisions, and that is another area where this book shines. Rosemary Sutcliff wrote many other historical novels, but the two I’ve read (The Eagle of the Ninth – which spawned an inferior 2011 movie adaptation – and The Silver Branch) never rose above the level of fun-but-ultimately-forgettable lads’ adventures. TLB is different. This is not a fluff book; it carries every ounce of the weight you’d expect from its subject. Decisions have consequences. Events have consequences. Those consequences are not hand-waved away. By the same token, though, this is not a nihilistic book. Darkness will descend: that is written in history. But TLB is no mere fatalistic lament. As its title suggests, this is a celebration of heroism, and of those heroes who choose to resist the dying of the light. There are scenes of beauty and power in this novel; and they lift it to a bittersweet loveliness far more effective, and memorable, than unrelenting bleakness could have achieved. At the end of the day, though, the book’s blemishes are minor compared to what it does right. In its depiction of the human heart, and human fate, this carries a believability to which so many grown-up books can only aspire; the kind of precious believability that grabs me and makes me feel as though I’ve learned something profound. So long as they find Sutcliff’s prose agreeable, I’d highly recommend TLB to lovers of historical fiction, Ancient Rome, “gritty” fantasy (it’s been a long time since I first read A Game of Thrones, but I imagine this has a similar, if less graphic, appeal), and good stories in general. For this book is truly good, perhaps excellent. I look forward to reading more by the (sadly deceased) Sutcliff, and I hope to see more of her back catalogue on Kindle soon. * Or at least, make us believe it’s showing us the world as it truly is.